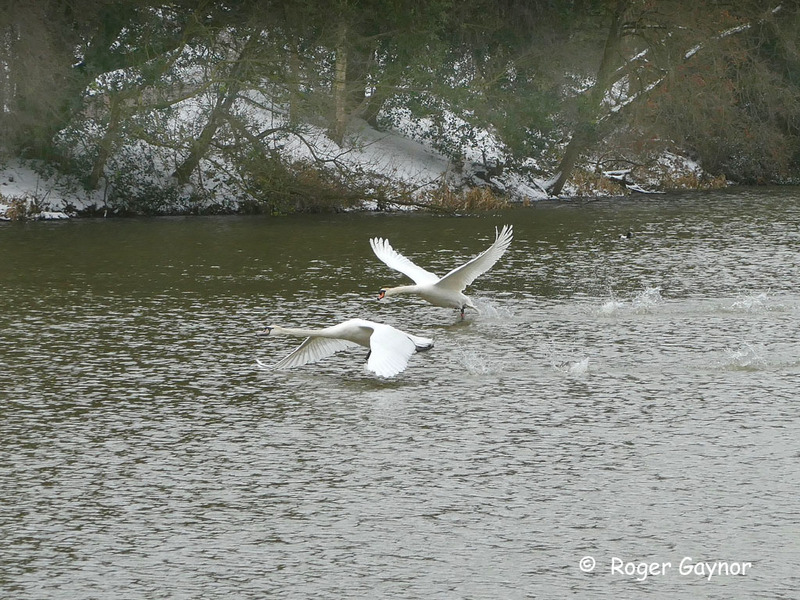 Yesterday, Sunday 18 March, during another arctic blast I witnessed a male mute swan, known as a cob, chase off an unwelcome visitor to the lower lake at Nostell Priory. The newcomer was no doubt seen as being too close to the resident pair’s nesting and feeding areas, possibly threatening their breeding success this year. 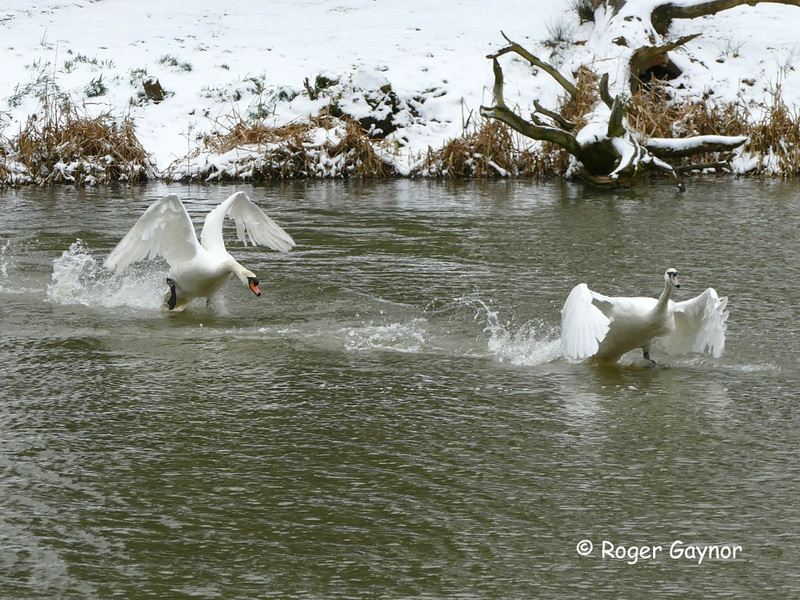 Male mute swans are fiercely territorial and this encounter was no exception. With the female swan (called a pen) watching from nearby, the cob suddenly started to display a range of aggressive postures towards the pretender and the whole lake became a battleground with goosander, tufted duck and coots caught up in the cross fire desperately trying to find cover and safety. Eventually after nearly an hour the intruder flew away to find a new territory. Images of the encounter are attached.